Shopping for a Therapist — Wynn Helms, M.A. 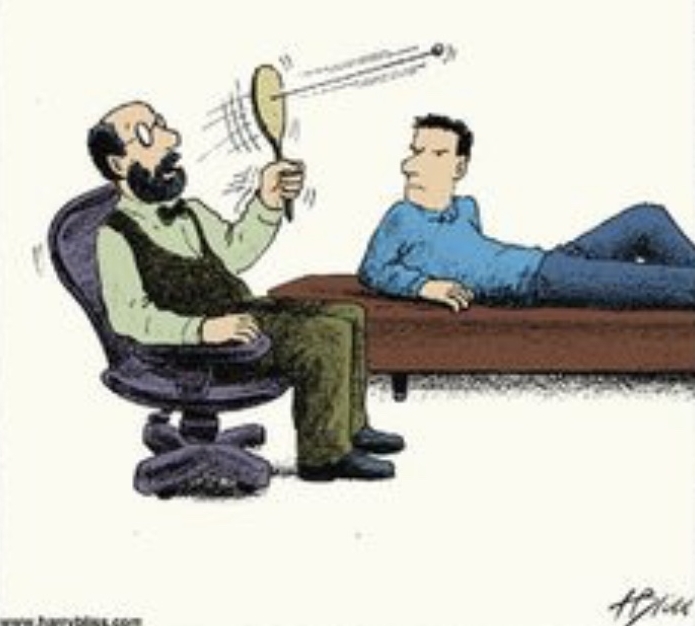 Physical therapists; hypnotherapists; psychotherapists…each is very different but they are all “therapists”. Maybe it is because I am in the mental health field but I think it is safe to say that “in general” when someone is talking about “therapy”, they mean psychotherapy—or talk-therapy. There are many of us from which to choose. I HOPE that you never experience a therapist like the one that is pictured here! Like in any profession, we are not “one size fits all” and it makes sense to shop around for a therapist with whom you feel most comfortable. And it makes sense to do some research. Although there are many sites, a great place to start is www.psychologytoday.com . This site allows you to filter for gender, education, specialty, location, rates/session and other information like whether the therapist offers a free phone consultation. You may be thinking about the issue of cost. Fortunately, there are some therapists who take insurance. Remember that going to your medical doctor can be a preventive measure. Talk-therapy can be preventive as well. As I like to say, talk-therapy allows for “the maintenance of good mental health”. If you are struggling with communication issues, past trauma, depression, anxiety or some other form of emotional distress, seek out a talk-therapist before your specific issues become overwhelming. My specialty is EMDR (Eye Movement Desensitization Reprocessing). Never heard of it? You can read all about this special therapeutic approach on this website. I hope that I will be part of your therapist- shopping-spree!